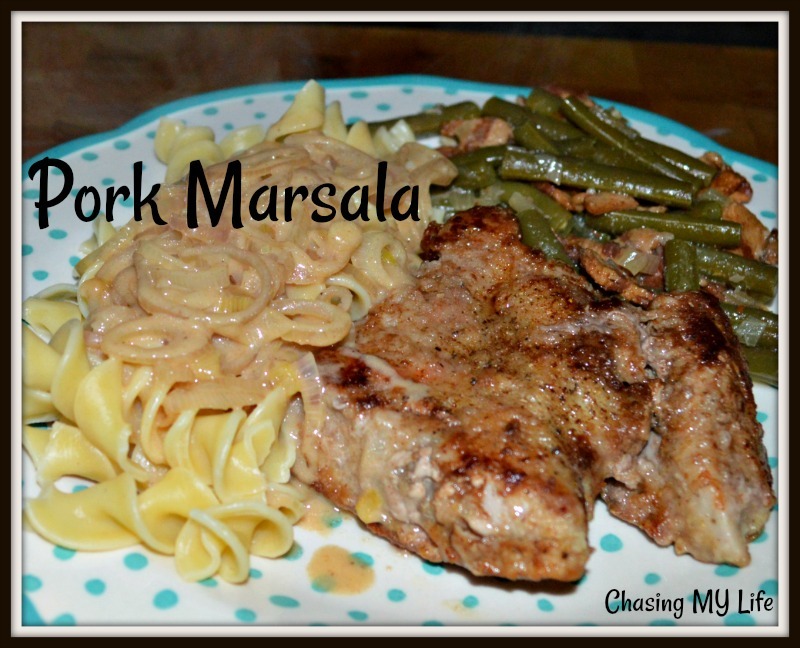 The Marsala wine is the key to this dish. Hubby HATES mushrooms so I often substitute shallots and the recipe is just as good. Heat oil and 2 tablespoons of the butter in large skillet over medium high heat. Generously season pork pieces with fresh ground black pepper and salt. Dredge pork pieces through egg and then flour before adding to skillet. Cook 3-4 minutes per side until browned and cooked through (based on thickness). Set aside and keep warm. Add onions and mushrooms to the skillet cooking 5-6 minutes until golden. Add Marsala wine and beef broth, scraping bits from bottom of pan as you deglaze it. Cook 5-6 minutes until liquid is reduced by half. Whisk the cornstarch into the heavy cream until smooth. When Marsala is reduced and a deep rich color, add the cornstarch mixture and cook 2 minutes until begins to bubble and thicken. Return pork chops to pan, turning to coat. Top with sauce and chopped flat leaf parsley.